Shouldn’t you try to give 'im some hoofs? GOTCHA! just kidding! 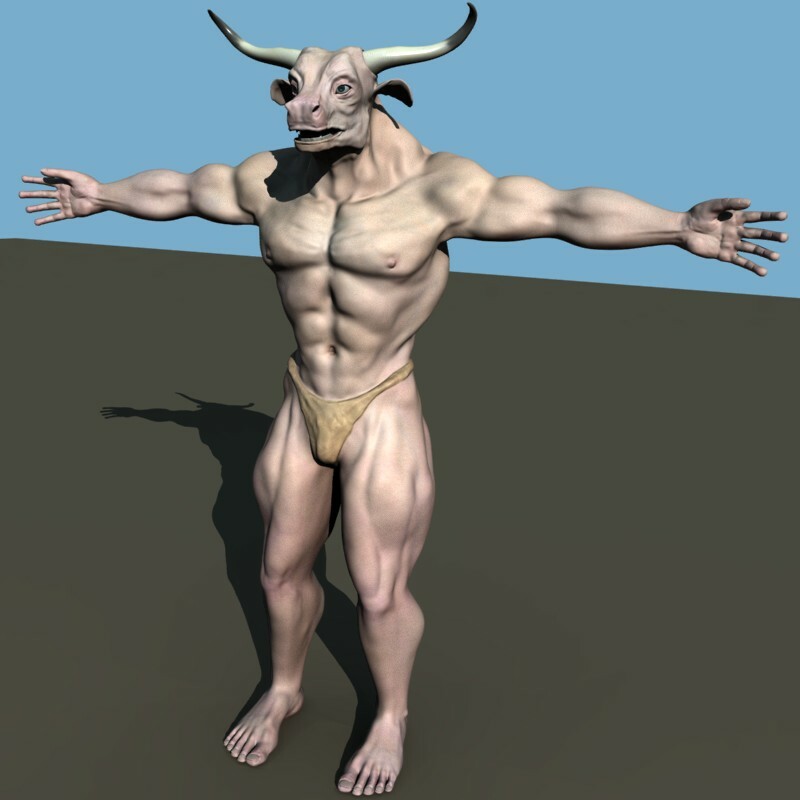 Good looking model, I feel that it should be darker skinned… or this is some pale minotaur? Albino? 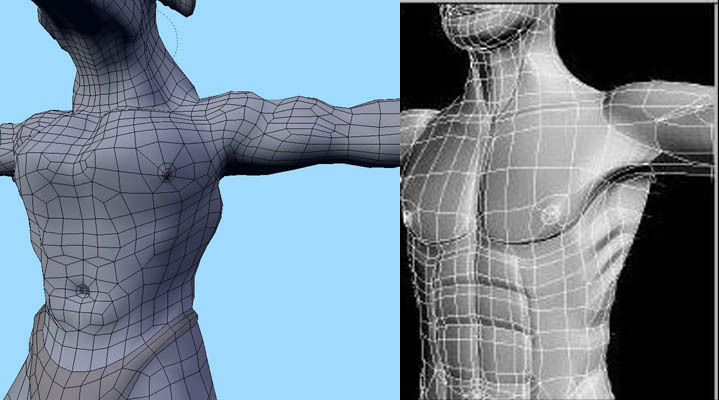 I see some proportion and anatomy problems… anatomy doesnt quite look right in the lower pectoral/ abdomen… I think the abs should longer… were you using reference? Lol, I’m sorry I can’t be mroe specific, but there is something a little messed up about the body… I do like the head though. I look forward to seeing a furry version. ‘spose I was just askin’ for it, eh? I’m uploading a quick orthographic with the gamma turned down on the render. He’s not supposed to be “pale,” but rather he’ll be animated in a sunny environment eventually (a gladiator arena), so I wanted to make sure he looked right that way from the start. 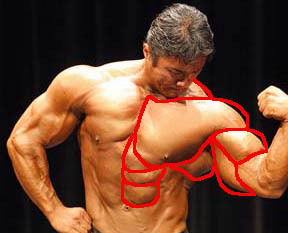 The orthgraphic shows proportions as they truly are. 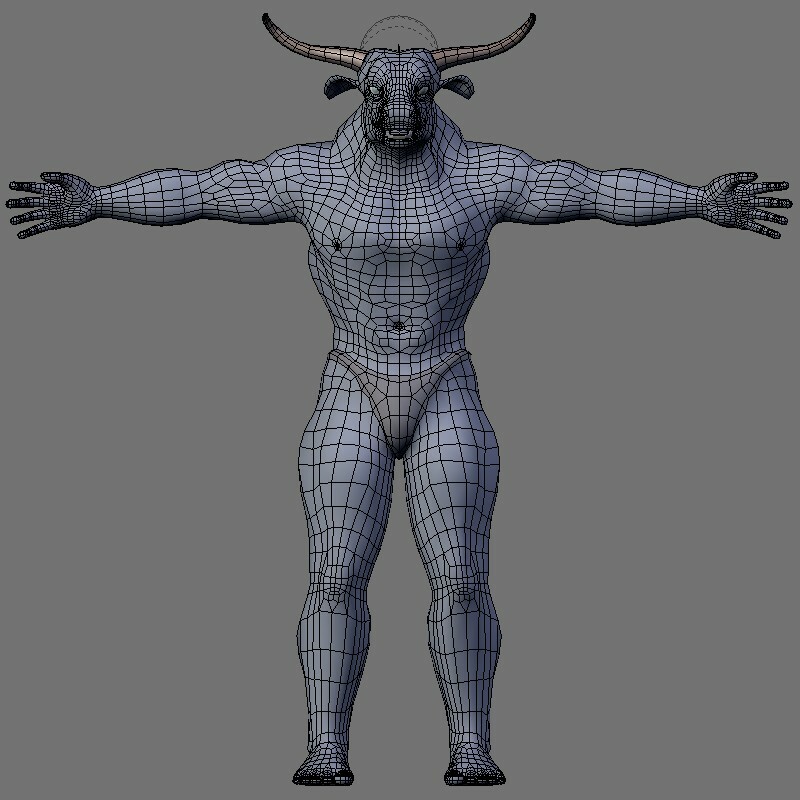 Yes, I modeled from a bunch of images of body-builder types, but never could find one in a full orthagonal to get the proportions right. 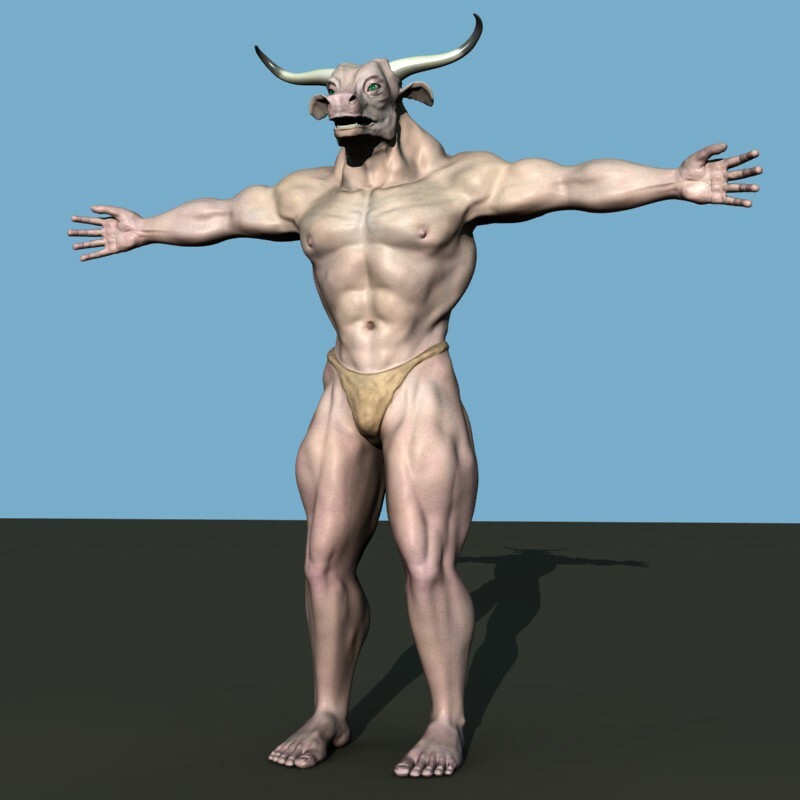 I’m aiming for high realism, but also I’m trying to think about how a humaniod anatomy might change to account for the fact that this guy runs into things at full speed, attempting to impale things with his horns. To me, that means massive neck muscles, barrel chest, strong back, and a lot of weight on the lower body so he could bend forward and not fall on his face. I’ll take a look, though, at some ref’s for the pecs to see what you mean. I’m no expert on anatomy, so thanks for the comments and keep them coming! EDIT: while I’m at it, I’m adding a pic of the skin, closer in. So far I’ve got a diffuse (color) map, bump, and spec map bulit from an image texture, and then there are 4 “vein” textures created from the marble basic texture, all modified by a cloud stencil. Then there’s a “pores” texture to alleviate the problem of my too-stretched-out bump map. (Once again, the bad seam at the neck will be covered with fur.) Texture fun, yes? And the anatomy isn’t right. Also I think you should give him more filled pants. 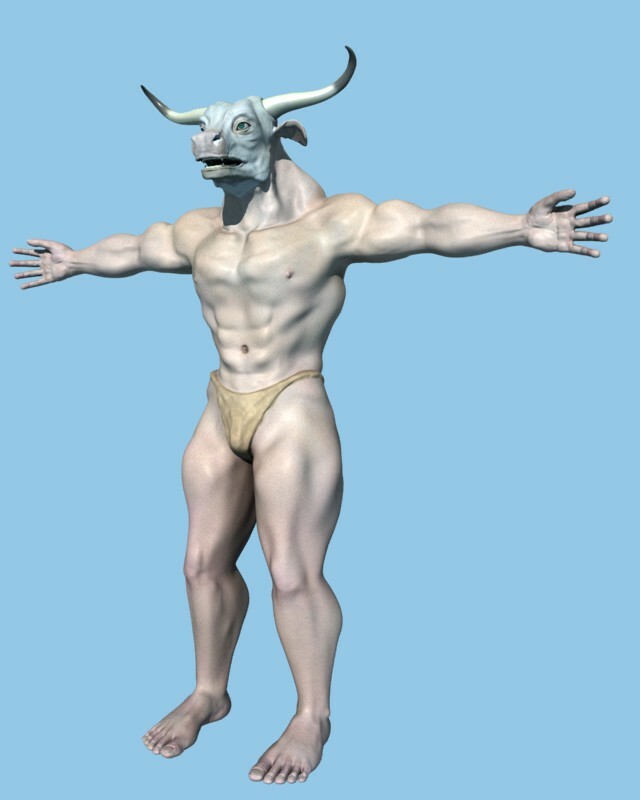 Hes a bull-like, isn’t he? I take Felix’ comment as a compliment, really, I’m just glad to generate interest! Thanks, and as for the anatomy, yeah, I’m getting that sense here. 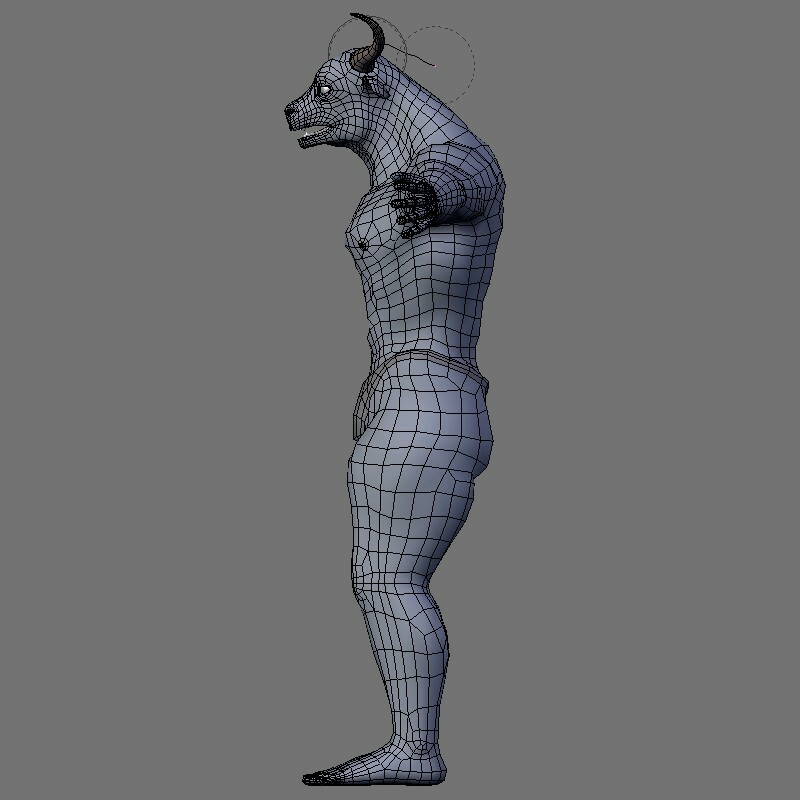 Obviously, I need to look at my reference files…even if he isn’t human, he does need to have believable muscle structure. 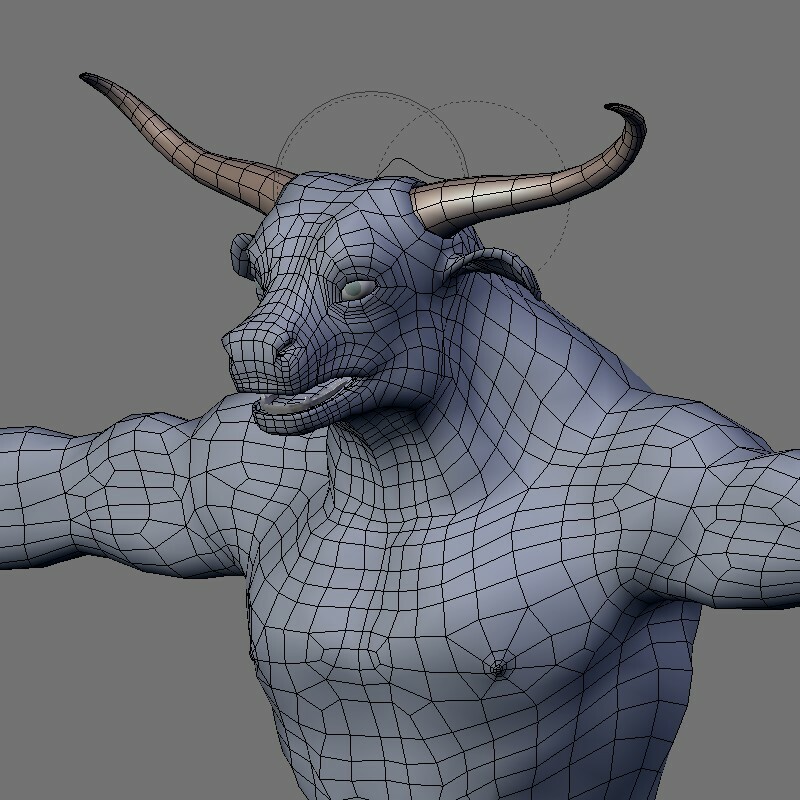 BTW, here’s the original thread where I started modeling this guy, in case you’re interested. Hmm, well, now I am getting a tad discouraged. It reminds me of when my wife wears that viking helmet to bed. 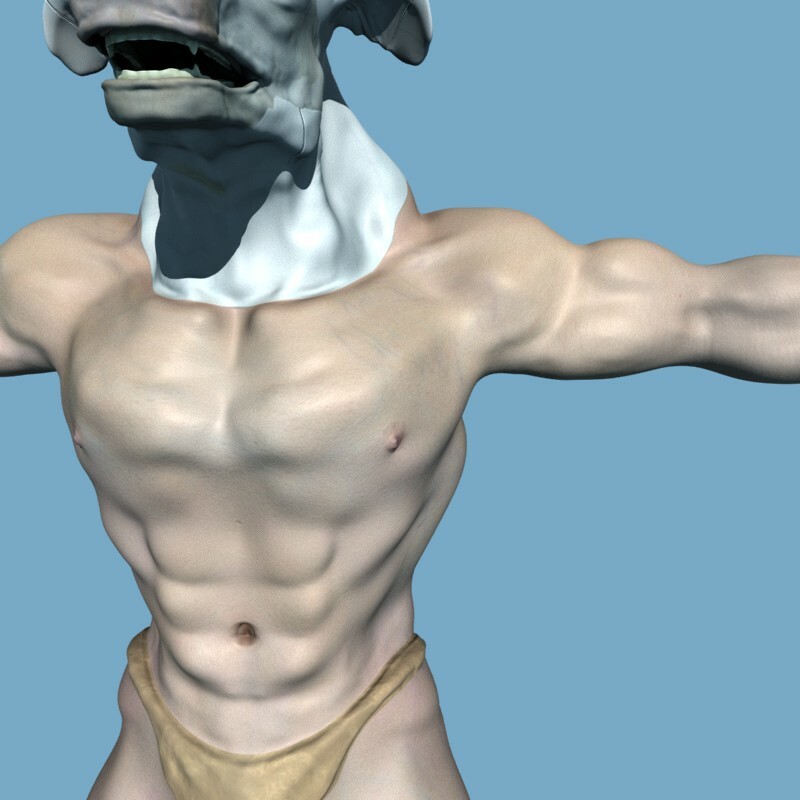 Another critique on the model that I don’t think anyone’s pointed out yet is the seemingly sudden change in material from the base of the neck up through to the rest of the head…goes from a pasty skin color to a bluish-white looking shade…obviously you haven’t textured everything yet, but I’m just wondering why you did that? if you want a quick fix, you could just stretch the ab area, get rid of the sculpting below the bellybutton, widen the hips a little bit and skinny the legs up a bit… I think that should work. Notice your reference pics hips are about the same width side to sideas the bottom of his ribcage…(I’m asumping its a little narower front to back). at least it apears that way to me. I think that might help… and save you from having to resculpt… that is if you can scale in edit mode with multi res on… sorry for the brick of text. Thanks for the input, gang. I’ll retool him a bit as suggested, including finishing up with the textures (and yes, I was in mid-texture on him, hence the arctic white neck). I’m sure I can stretch a bit in edit mode without a problem, just not TOO much - I want to retain a measure of the “stocky” body shape. So I’ve been busy getting a new computer up to speed (built it from parts…newegg rocks! 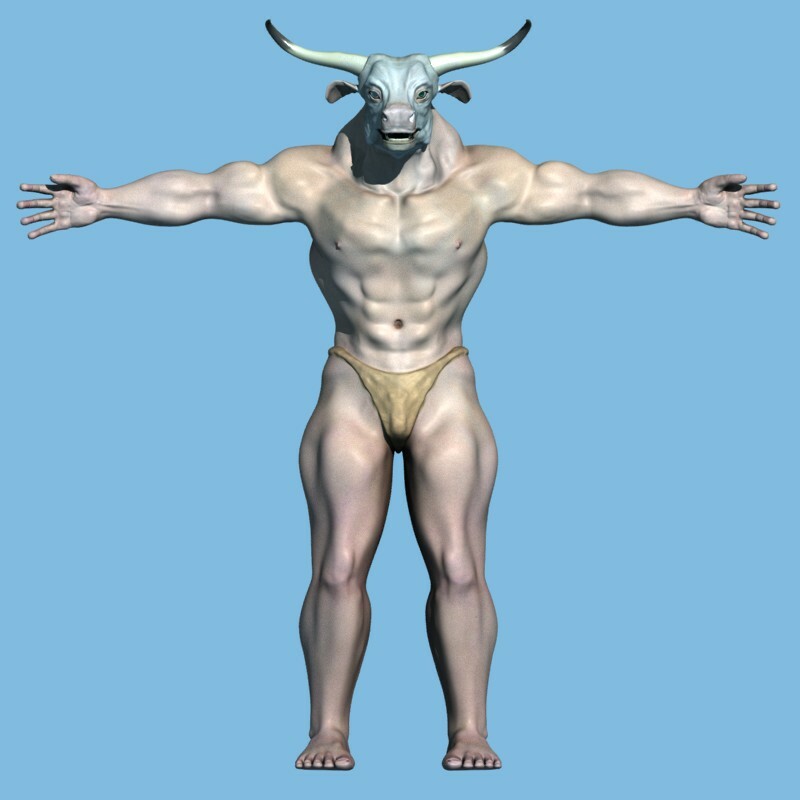 ), and spent a little time trying to get the proportions and musculature right. 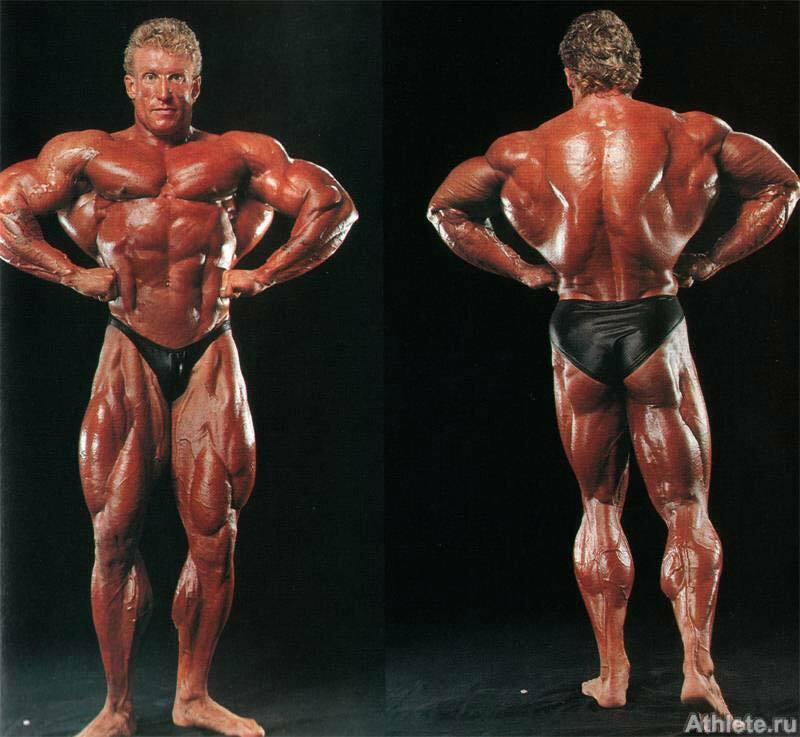 He’s meant to be stocky, so the proportions are rather short and wide, with a lot of mass in his upper back. I took some of the suggestions above and stretched his middle a bit, and lengthened his legs. Also, check out the reference image I’ve included…freaky, but that’s what happens at the extremes. Next step is the hair, which will be done with the Jahka partical patch. I think that the ridge down the middle of the chest should be less obvious, im not saying that it necassarily looks wrong, but it does look ugly. 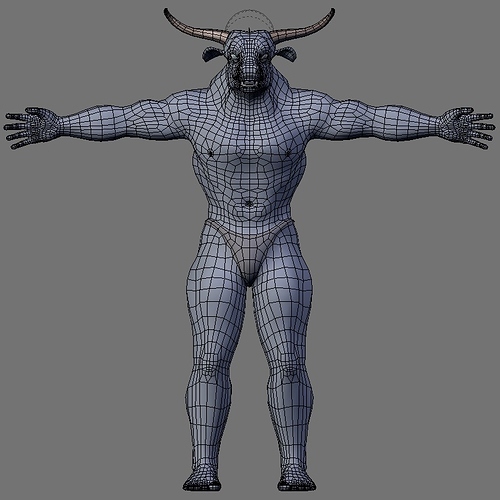 I think that you are trying to make it look too human, maybe making the chest rounder and larger would give it a better feeling of strength and bulkyness. 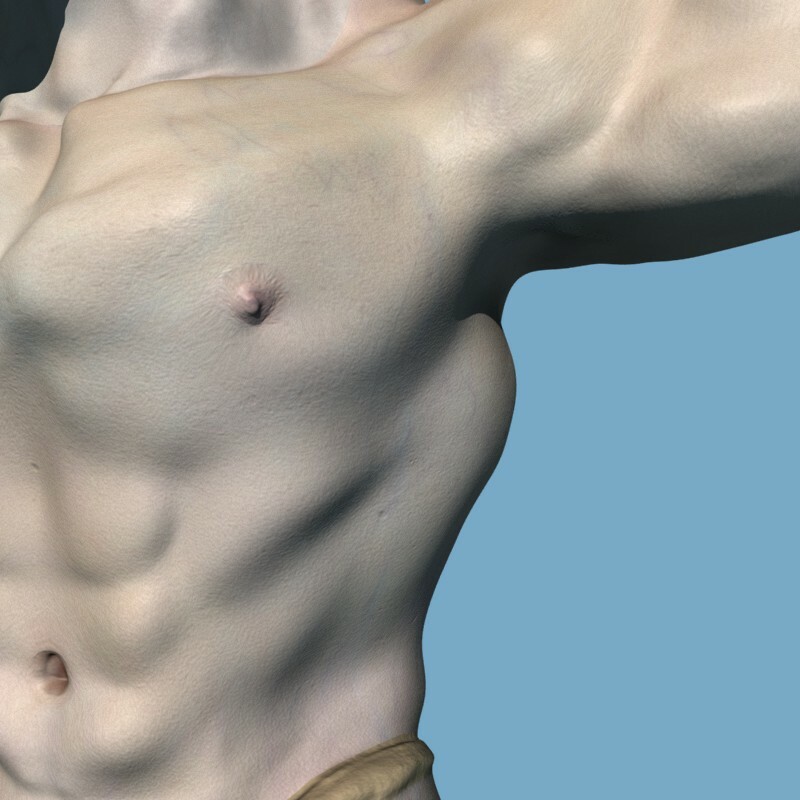 And hell yes, it needs a bigger manlyhood, or bigger pants if you havent modelled them. I think that the ridge down the middle of the chest should be less obvious, im not saying that it necassarily looks wrong, but it does look ugly. I agree that he’s too “human.” I’m counting on doing some scars and additional texturing to offset that, in addition to a bunch o’ hair. 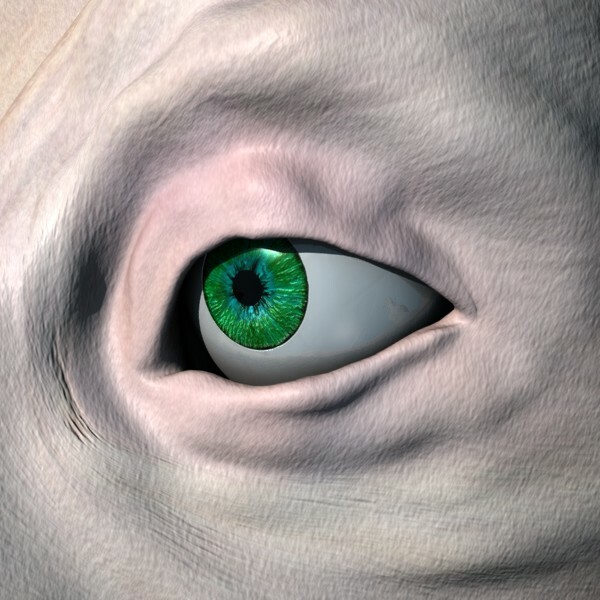 Gave up on the iris texture I’d been using; went with a photographic one. I like this one better. 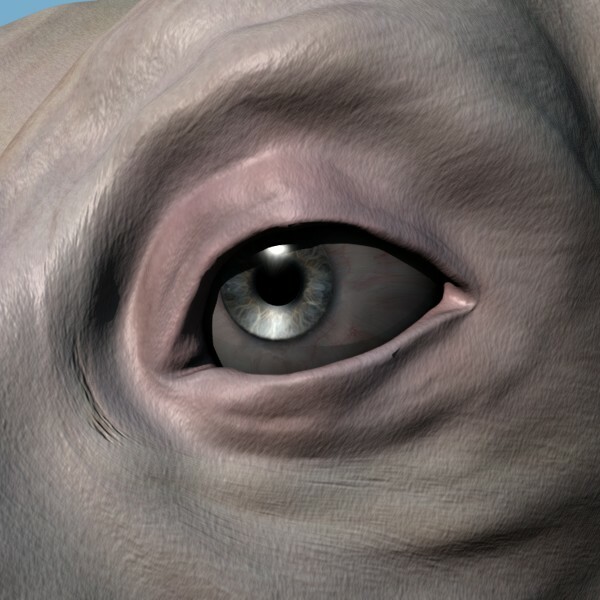 Still having trouble with the spec map - the inner surface of the eyelids are supposed to be highly specular, but my spec map doesn’t seem to be doing that. Odd.